Lifetime Gutters does more than just gutters. We offer a complete line of commercial and residential services. 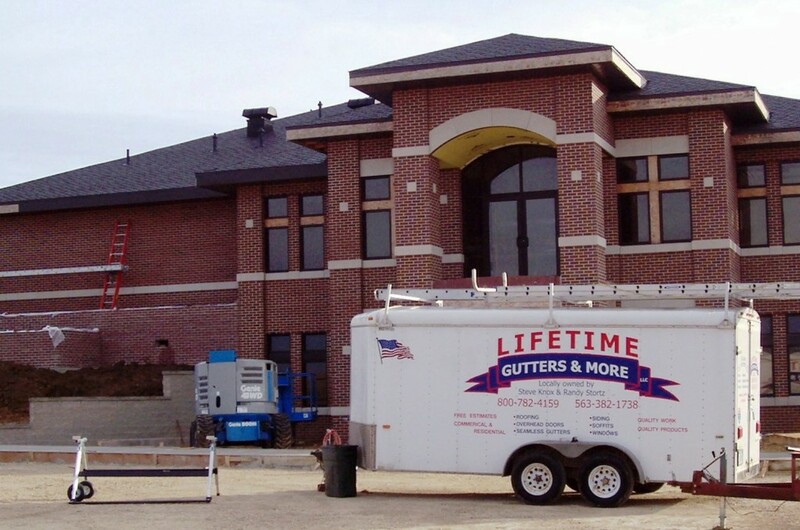 Lifetime Gutters is Northeast Iowa’s source for quality seamless gutters and gutter cover installation. But we offer a whole lot more than just gutters. We are also a certified roofing contractor, having installed hundreds of new roofs around Northeast Iowa, Southeast Minnesota, and Southwest Wisconsin. In addition to roofing, we also sell and install Haas overhead doors, LiftMaster openers, vinyl siding, custom bent aluminum fascia, and aluminum soffit. For details about each of the services we offer, please select from the menu on the right.